Over the past couple months, I've been working with some folks on what will hopefully become a Burning Man art car. 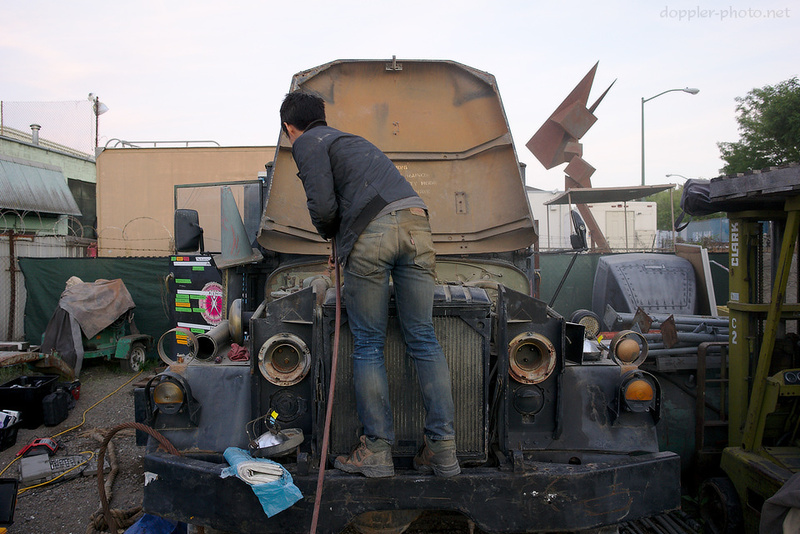 The base vehicle is an M35 "deuce-and-a-half" 2.5-ton-capacity military truck which currently sits at the NIMBY workspace in Oakland, CA. The truck was parked there after transmission issues left it immobile a few years back, and there it has sat until Casey, our fearless leader, came a-lookin'. Well, technically, it's continued to sit since then, but we're getting mighty close to having her rollin' again. During this past weekend, Casey fired up the engine and it ran well and sounded pretty healthy. At this point, we're generally working our way through the drivetrain, starting at the powerplant and getting all the way to the wheels at some indeterminate moment in the future. 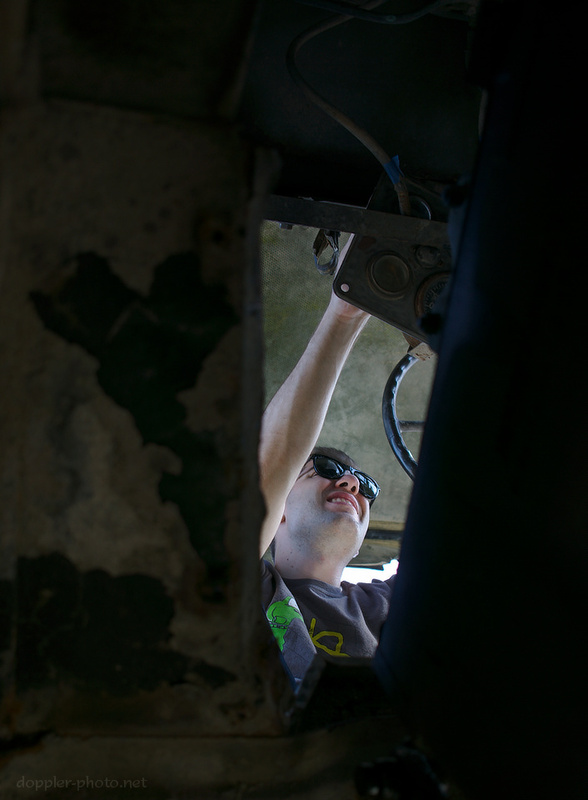 I spent the majority of my own time under the truck, hammering away at one thing or another (at times literally). Consequently, most of the photos are from that vantage point. Enjoy! Denise (left) and Sean (right) work on cleaning the truck. Denise spent the day combing over the undercarriage with a screwdriver and air blower, removing what loads of dust and other muck had accumulated over untold years. Sean used a hammer and another screwdriver trying to fight his way through the truck's military-spec 3-layer paint job in order to make the frame-stamped VIN legible once more. Matt wrangles with the instrument cluster after it became apparent during the startup that the tachometer was non-functional. Casey sprays some Liquid Wrench on a pair of nuts and bolts that I would then spend the following 2 hours removing. I don't entirely understand how a 5/8" nut could provide as much resistance to a 1.5ft breaker bar as it did, for as long as it did, but I finally got the best of it. 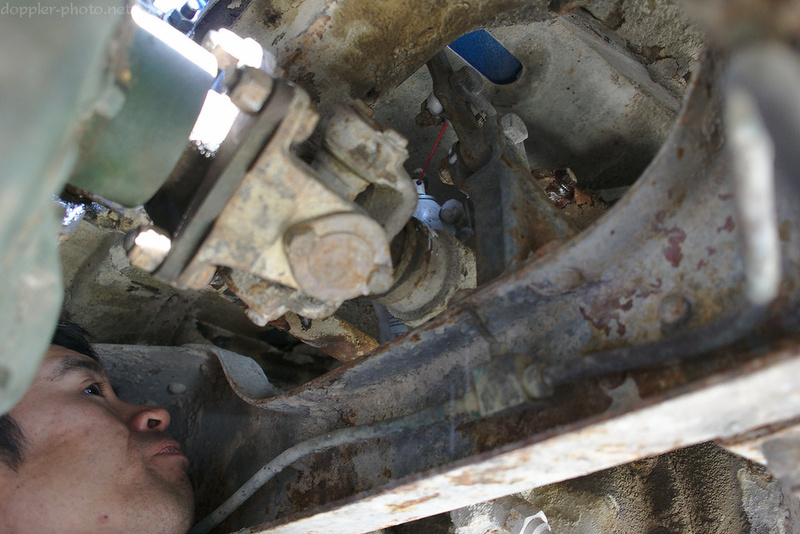 In this case, the bolt holds a short strut that serves as the attachment point between a cabin-accessible lever and the transfer case, which is the part that distributes torque from the transmission (green, top-left) to whichever drive wheels are selected, possibly with a gear reduction. Given that we had previously replaced the transmission wholesale, the transfer case was the next step away from the engine. 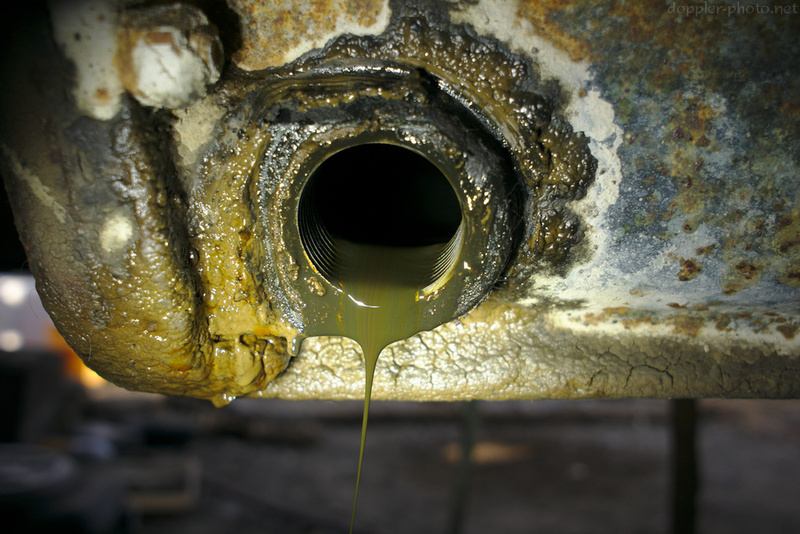 And speaking of the transfer case, this is not how you want your gear oil to look. First off, the caked-on green formerly-dust shows that the drain plug had been leaking for a long while, and the wet appearance all around the area shows that it was still actively leaking when I got to it. Even better, the dark olive color means that the oil had been gathering contaminants — the natural color is lighter and more translucent — and the color striations mean that the lubricant had started to break down into an emulsion, likely due in part to water intrusion. Really, the only good thing was that I didn't see any bits of metal coming out as well. But it's all in a day's work, I suppose. 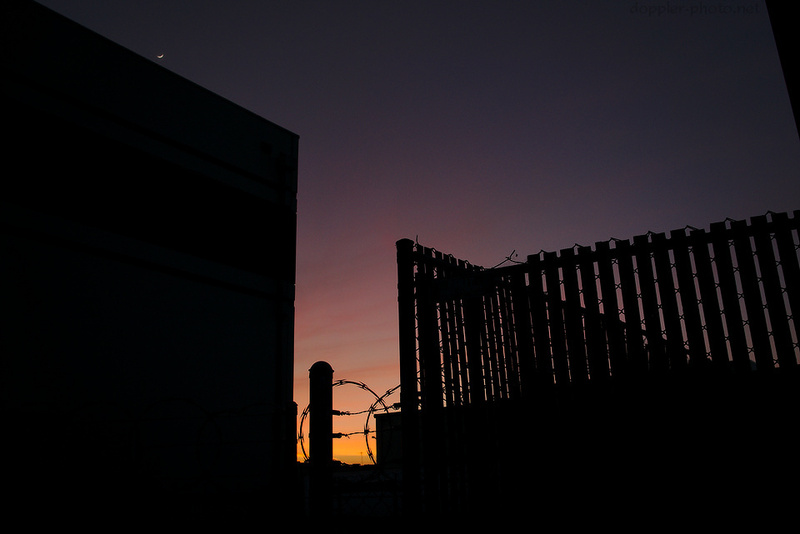 And though there'll surely be plenty more work in the weeks and months to come, there's still something satisfying about making demonstrable progress, stopping to admire the clash of industry and natural beauty that is a NIMBY sunset, and then heading on home.